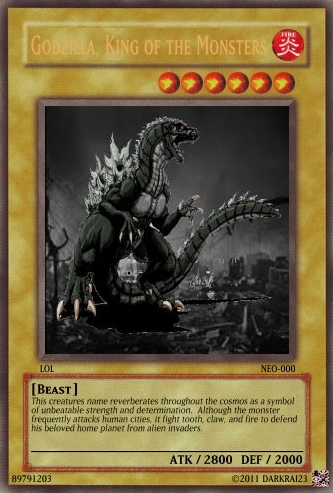 Godzilla Yugioh Card. This is what happens when 你 give me spare time...isnt it awesome?. Wallpaper and background images in the Godzilla club tagged: godzilla neo yugioh card this is the best thing ever. This Godzilla fan art might contain 动漫, 漫画书, 漫画, 卡通, and 漫画卡通.